The "SEETV" glasses will focus on objects from 10 feet to infinity with clarity on the enlarged image. The "SEETV" glasses are specially designed for watching TV. One can help to maximize the size of a TV screen and other objects with this easiest-to-fit binocular telescope system. 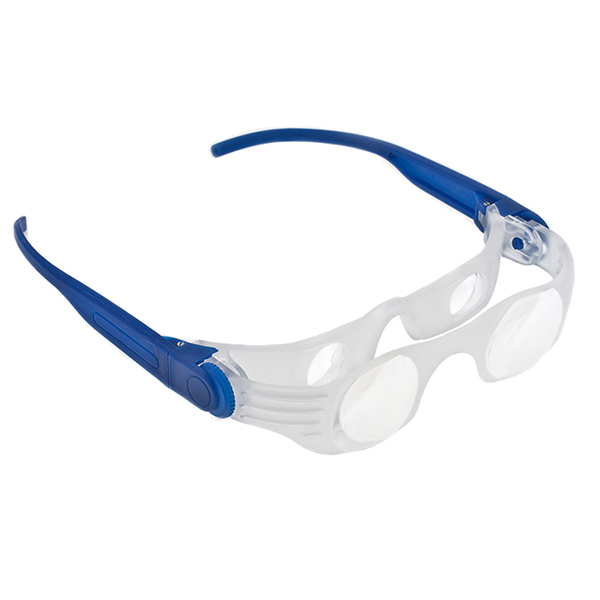 These glasses are also ideal for most other events and activities where a magnified image is desirable and helpful (e.g. sporting events, movies, theater and hobbies, etc.) These hands-free head mounted glasses provide a useful 2.1X magnification. Each lens is individually adjustable by an easy dialing system which will allow for future site-changing conditions. The lenses are scratch resistant and come with a cleaning cloth.